There are many Hollywood movies that people are able to watch over and over again. If you ever sat down to watch the 3.5-hour-long extended version of the “The Lord of the Rings” for the 23rd time, you’ll know what we’re talking about. On the other hand, some movies are too intense or simply don’t deserve to be watched again. Whether it’s because of their disturbing nature or heart-breaking story, here are 15 films you will never watch again. WWII’s Holocaust was traumatic enough by itself, but that didn’t stop Steven Spielberg for making “Schindler’s List,” where a German businessman does his best to save countless Jews from their demise in one of many Hitler’s concentration camps. Oskar Schindler, play by Liam Neeson, will send shivers down your spines on multiple occasions throughout the movie, as he struggles with the Nazi system to try and save the lives of the Jewish prisoners. The movie is brutal and terrifying, and the black-and-white presentation only adds to the film’s already heavy story. 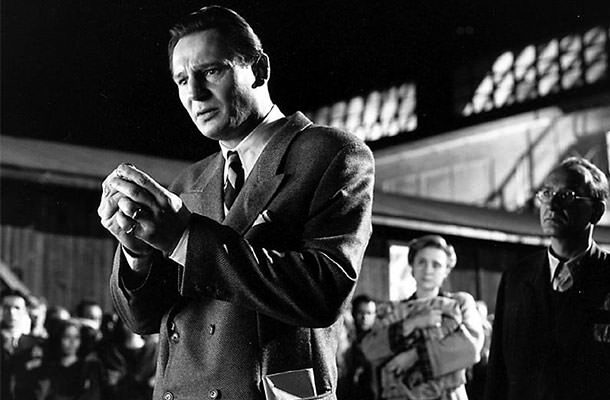 “Schindler’s List” is a movie everyone should definitely see. But if you thought you can make watching this movie a tradition, we’ll just mention one thing that will certainly change your mind – gas chamber.